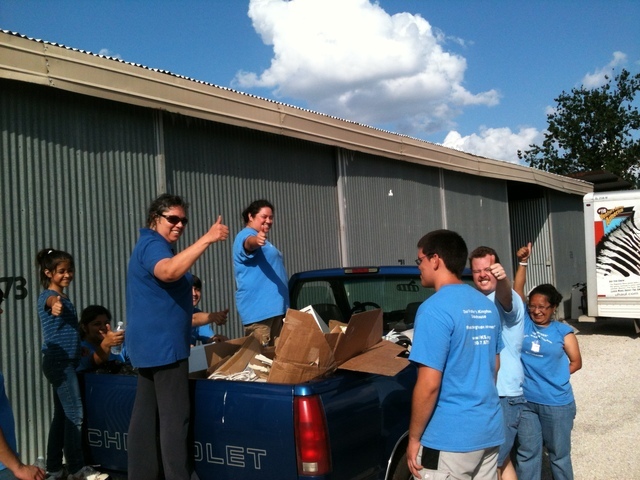 Browse the photos below to see the people we serve and our mission of Crisis Intervention and Homeless Prevention in action! Ret. Navy Veteran and daughter receive cookware, toddler bed and linens. Jose, a veteran who had just been moved into an apartment with little to nothing when he called us. 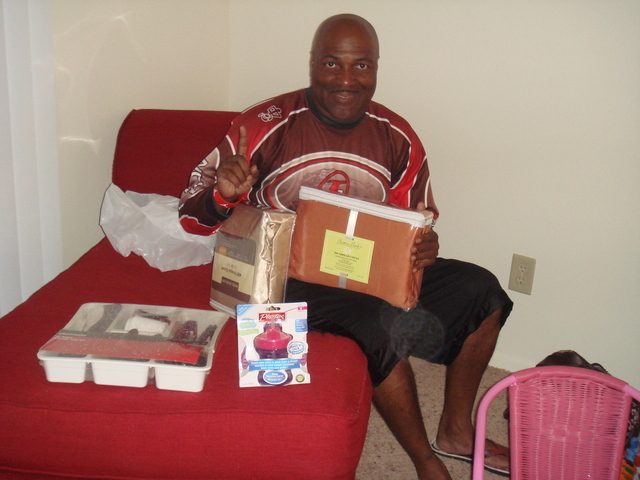 We were able to give him furniture, linens and hygiene products! 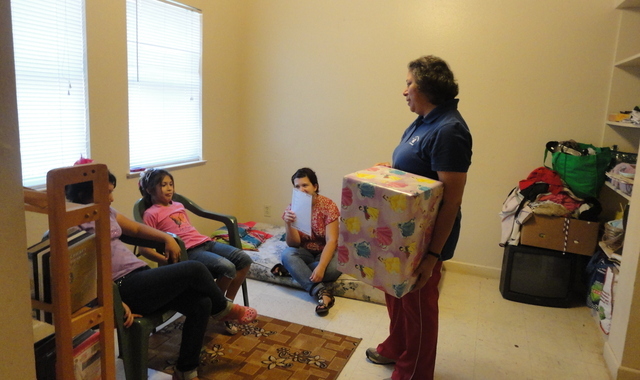 Founder and President Elisa Medina-Riebeling delivers a few gifts to one of our families! 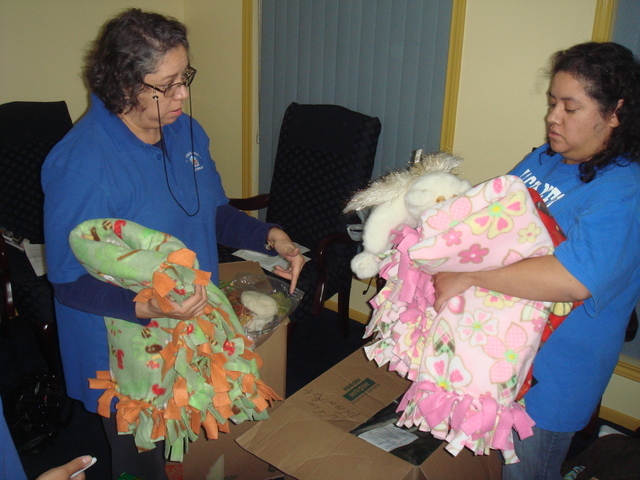 Elisa Medina-Riebeling sorts immediate donations with Executive Assistant Jennifer. 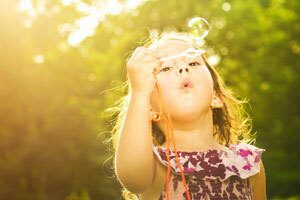 It's 90 degrees out in humid Texas fashion, we're tired and not a cloud in sight- but it's all worth it! 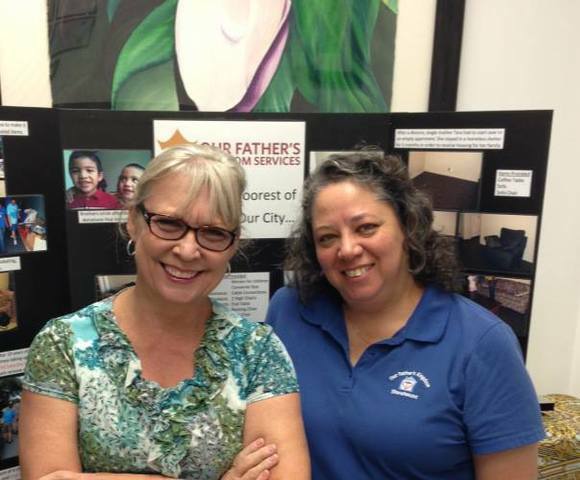 Elisa Medina-Riebeling with June S. who stopped by to say hi after a donation drop off.